Downtown Ocala, Florida, suffered from "sleepy" Saturday syndrome -- bustling during the work week, but a little dull and lightly trafficked on the weekends. So the local merchants hatched a great solution–a downtown farmers' market. The market was an instant success -- and as it continued to grow, the city converted an old building into an open air, outdoor market space. The goal with the new space was to create more than just another stop on Saturday morning errands, but a weekend destination, a place where friends and family could connect. What better place for friends and family to connect than a pocket park? 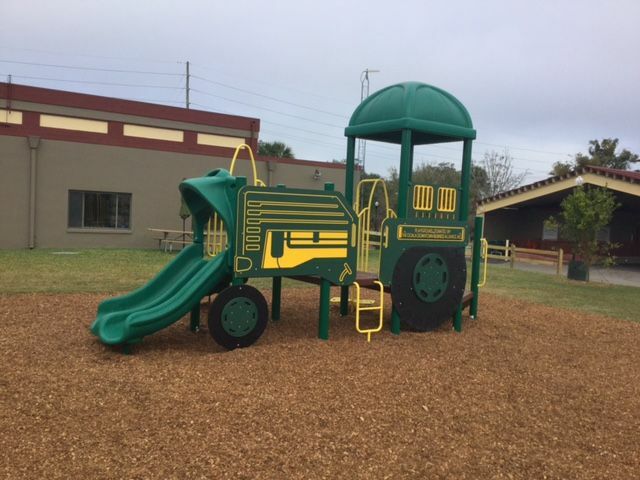 The city worked with the Ocala Downtown Business Alliance to convert a green space near the market into a pocket park, complete with a tractor themed playground, designed by GameTime's exclusive representative in Ocala, Dominica Recreation Products. Framing the playground are chicken-shaped bike racks and a landscape of fruit and olive trees. 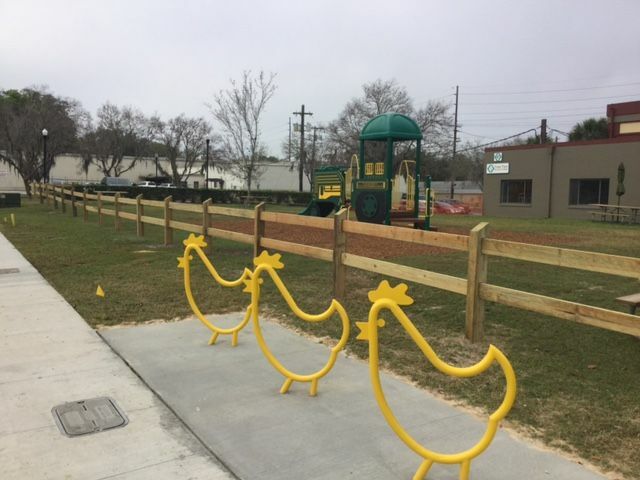 Kathy Crile, the Recreation and Parks Director of Ocala, said it best: "The seeds for the Ocala Downtown Market were planted and cultivated into a thriving Saturday morning farmer’s market the whole community has come to enjoy." Learn more about adding a pocket park and cultivating social capital that benefits merchants and families throughout your community.